Not long ago, good design was considered nice to have, but non-essential to a product or company. In today’s market, however, good design has become a commodity. The apps we use on our phones, our laptops, or even on our TVs are constantly scrutinized based on their quality of user experience design. Gone are the days when a good UX wasn’t necessary. Today, we all expect the software we use to be easy, straightforward, and elegantly simple. This shift has proven difficult for large enterprise organizations to manage. Their products are used by hundreds, if not thousands, of users daily and are supported by diverse teams of developers, project managers, designers, and business stakeholders — many moving parts, to say the least! For large organizations, improving their user experience is not a question of intent, it’s a matter of logistics. It’s easy to criticize a company whose product has lagged behind consumer market trends. But in reality, changing a large and complex product is like redirecting a large ocean liner. It can be done, but it takes time, planning, and getting everyone on-board (pun!). So, how does an enterprise organization go about improving their UX design? Mentioning a redesign is sure to cause a knee-jerk reaction of a resounding “NO” from anyone at the table. “It will take too long”, “we can’t afford the effort”, “we don’t have the resources”. And truthfully? All of those responses would likely be accurate. But there is another way to achieve a redesign that doesn’t require the effort and cost of a complete, top-down overhaul of the product — start from the bottom. A bottom-up redesign is a safe, efficient way to improve your product without being disruptive to product development or other long-term objectives. It allows you to compartmentalize the redesign and work in small steps towards the big, end goal — a consistent, fluid UX that makes your users happy. Remember, it’s easier to start small, so be conservative when you divide your product into these segments. Next, make a plan for the sequence of the redesign. This is where the real magic of this strategy comes in. Choose the sequence that falls in line with the current product roadmap. Is the user permissions page part of the next milestone? Great, go with that. A completely new application? Super, put that on the list. Making your redesign match the sequence of the product roadmap ensures that resources are spent more efficiently. Two birds with one milestone, you might say (I’m here all week, folks). Once you’ve decided on how to divide and sequence the redesign, get to work! Improve the UX of each small segment as much as possible, with an eye on the overall goal and the entire product. Use modules and design patterns that improve the experience while also being flexible for reuse within other segments of your redesign. Some ideas will be bad — embrace it. As the redesign moves from segment to segment, some things will work well and transfer over, and other design decisions will not. It is important not to focus too much on perfection. This is an advantage in a bottom-up redesign; even if something doesn’t work, it is easy to discover and quickly learn from while only affecting a small user base. Since you’re not fretting over small details, the work will be faster and allow for experimentation and surprises to happen. That’s how evolution works. The redesign is like a living organism. Allow what works well to spread and inform other portions of your product while forcing the less effective work to be isolated and overtaken in the future. A bottom-up redesign is a great way to accomplish positive change for your users and overall user experience without the headache and risk of a complete design overhaul. Whether it is a highly-used product, or an integral internal tool, improving the UX should always be a priority. By biting off small pieces and moving throughout the entire product, it allows for strong design to grow organically while immediately driving results in user happiness. To be effective, any redesign should have a leader who can communicate the vision and follow it throughout the whole process. This should be someone who can comfortably work with all kinds of stakeholders: developers, designers, marketers, customer representatives, etc. They will also need a strong eye for design and usability. Usually, this will be a product manager, creative director, or other leader who understands the big picture. As the redesign progresses, you will see several patterns and components that are flexible and reusable. Use these elements to begin documenting design guidelines. 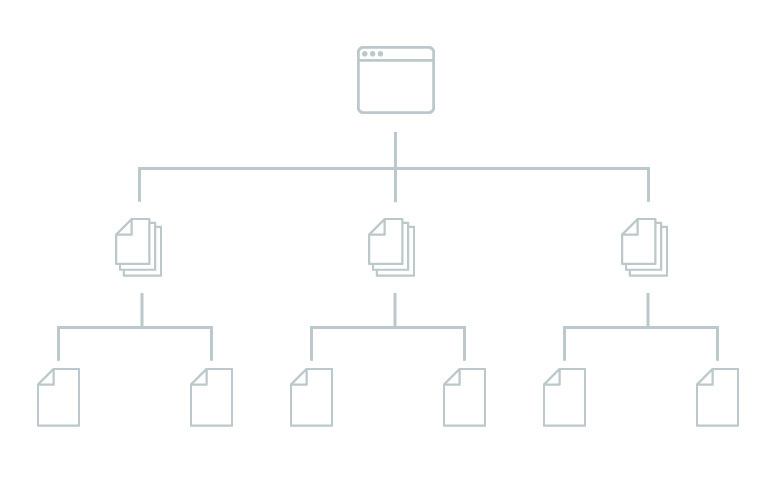 Having a design guide is a great way to communicate product vision to the entire team. If something is working really well, documenting it in your guidelines allows for other teams to incorporate it even if they aren’t yet part of the redesign. The best ideas will start to bubble up through the organization with very little effort. Many times it is best to look to an external source to accomplish a redesign. In doing this, you can find an objective partner who can follow the work as it moves from team to team or product to product. The external partner will likely have more experience with what makes a redesign process succeed, and will have the right, skilled resources to dedicate to the effort. Be sure to select a partner that is a good fit for you and your company, just as you would when choosing a development partner. Outsourcing a redesign has all the advantages of hiring an entire internal design team to work on the redesign full-time, without the overhead and potential hidden costs of full-time employees.